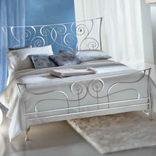 A metal bed is a timeless investment that's built to last and we just love the look of the Italian designed Ciacci range which offers the quality and long lasting build of a metal bed but with a dramatic designer flair in a style to suit all tastes. 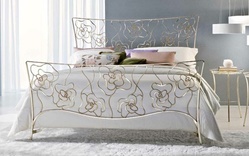 The Ciacci Tea bed has a delicate design in sumptuous gold or silver leaf, it's a stunning bed that would be right at home in a minimalist room that allowed the bed to shine. 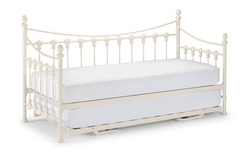 This bed is a real investment piece and has the additional benefit of a solid metal build for a long lasting bed that will last the test of time. 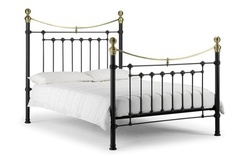 For something even more luxurious there's the 4 poster Castille metal bed which features both a wonderfully detailed design in a range of colours and all the dramatic flair of a four poster bed. This bed needs no other enhancement than simple bedding to allow the bed to be the main focus of the room. 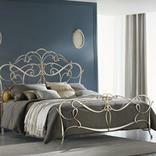 We also sell metal day beds, Victorian iron beds and brass bed frames. Either order online today, visit our Glasgow bedroom showroom or call us to order today on 0141 632 1384.We deliver throughout the UK including London, Glasgow, Edinburgh, Aberdeen, Manchester, Birmingham, the Home Counties, Cheshire and the South West.